For anyone who doesn’t want to read my rambling opening and just wants specs, scroll down! The finer things in life. 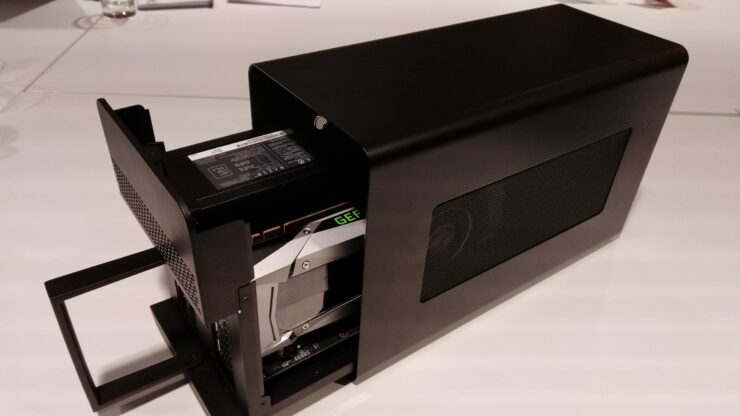 For PC gamers, we generally know what these are, higher frame rates, lower temperatures, quieter acoustics, variable refresh rate displays and their ilk rule the roost. But there have always been compromises to be made when it comes to portability and in general I’ve shied away from the gaming laptop market. Don’t get me wrong, there are a lot of machines out there that I’d like to own, even love to own. In all of them however, there has never really been any that I was prepared to spend my own cash on. 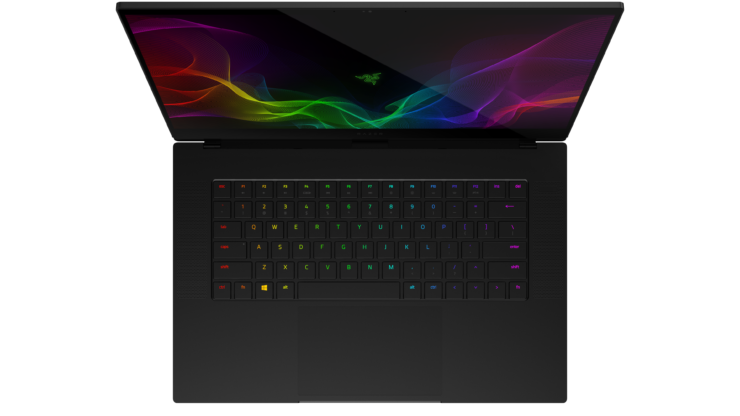 The launch of the new Razer Blade (15.6” 2018 Edition) seeks to remedy some of those compromises and if the detail which follows is anything to go by, this generation of gaming laptops are starting to convince me. As someone who used to travel a lot for work, I’ve spent my fair share of time on the road with a laptop. For those who live this life, the machine is an absolutely critical device because it becomes your lifeline. Of course you use it for work at meetings on client sites, demos, presentations, ideally without having to lug a power brick with you all day long, in the evenings it can be your source of entertainment, on a plane it’s where you get the last bits of work done so that you can spend the weekend with your friends/family without hoping you don’t forget some small but relevant detail from that day’s meetings. For people like me who demo software with relatively high hardware requirements, it needs to be powerful too. The Blade then is for the road warrior. 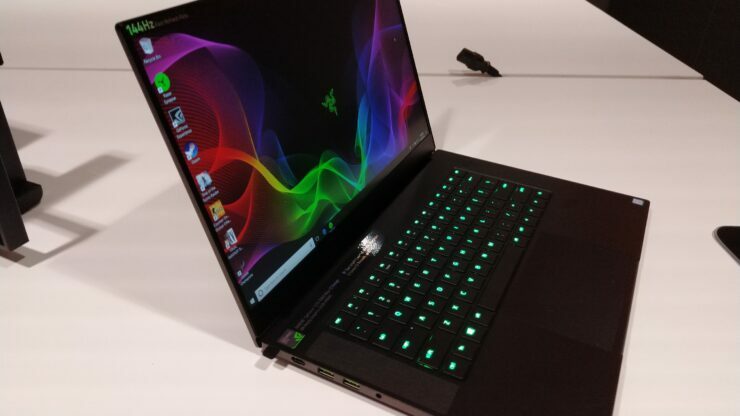 The middle machine in most ways of Razer’s laptop lineup. Bigger and more powerful than the ultrabook Blade Stealth, yet thankfully still not in the “luggable” category of machines which I used to have to tote around, leave that to the Blade Pro. But as much as I loved the Blade when I was at the last refresh/Blade Pro launch event and interviewed Min-Liang Tan, I couldn’t bring myself to actually part with my own hard earned for one. The problem really wasn’t the Blade itself, more the technology available at the time. I had concluded I’d buy one but in the end couldn’t bite the bullet. The machine was lovely, but as I mentioned in that article, the fans are definitely noticeable under load. Couple that with a 1060 which, while good wasn’t a GPU I was convinced I’d be happy living with for the several years I tend to keep laptops and it was ultimately a no buy for me. So what we have now is a new model which brings things bang up to date and I’m starting to think maybe now is the time for me to bite the bullet. You want ‘em, you know I’ve got ‘em. There are 5 models at launch with the main differentiators being the screen, GPU and storage. The other difference is in the dimensions/weight and power adaptor. The 2 1060 versions weigh in at 4.56 lbs (2.07 kg), while measuring 13.98” (355mm) x 9.25” (235 mm) and measuring in at just 0.66” (16.8mm) thick (or thin as everyone ridiculously insists on calling the thickness measurement these days), coming with a 200W power supply. The 2 1070 Full HD 144 Hz models add a smidgen of girth coming in at 0.68” (17.3mm) thick and weighing 4.63 lbs (2.1 kg), while the UHD model measures the same but weighs a bit more again at 4.73 lbs (2.15 kg). 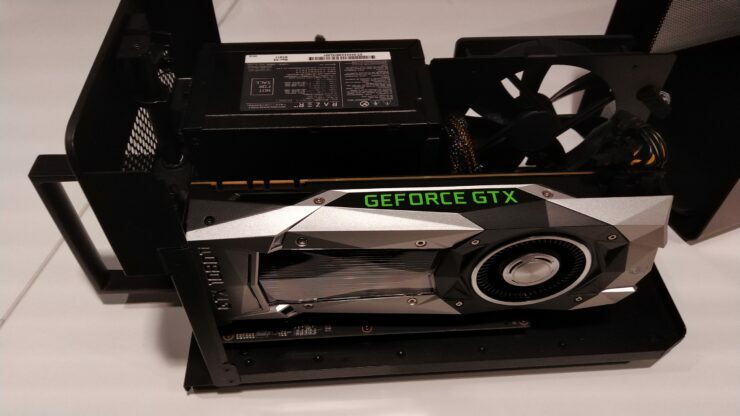 All of the 1070 versions come with a 230W power supply, presumably to keep up with the running of the higher spec GPU while gaming and charging. 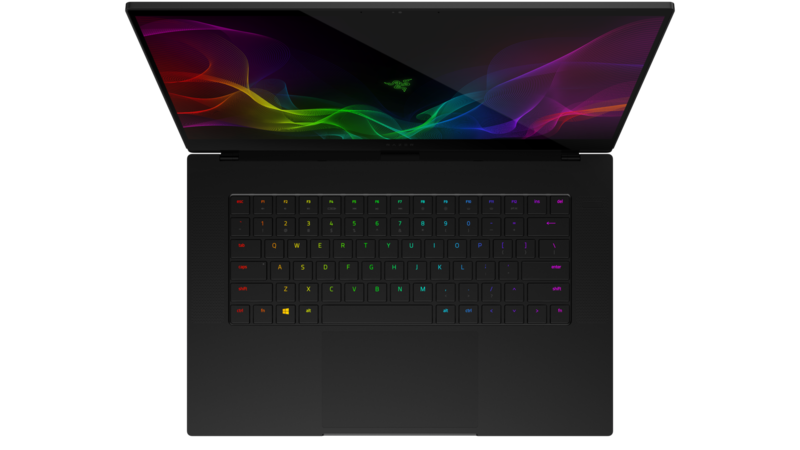 Perhaps the most surprising thing here is that the new 15.6” Razer Blade is basically the same size as the outgoing 14” Razer Blade. Yep, you saw that right. The 15.6” screen adds 0.3” (10 mm) to the width of the machine, keeps the same depth at 9.2” (235 mm) and makes the machine a smidgen thinner with the 1060 versions coming in at 0.66” (16.8mm), the 1070s at 0.68” (17.3 mm) and the old blade sitting at 0.7” (17.99 mm) being the thickest of them all. Let’s get one thing clear. This isn’t just Razer’s doing alone. 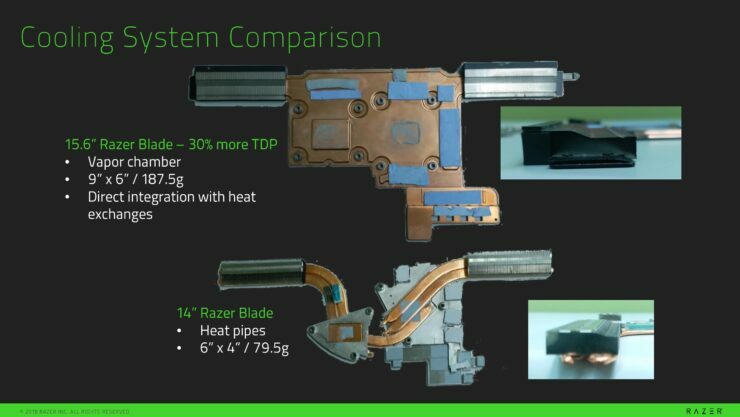 NVIDIA with its Max-Q chips which are effectively aimed at getting the quietest and coolest performance out of its chips for constrained environments like laptops have done a great job at controlling thermals and clocks for better performance with quieter acoustics and cooler chips. This is what makes the Max-Q such a powerful proposition, but this kind of engineering doesn’t come cheaply. 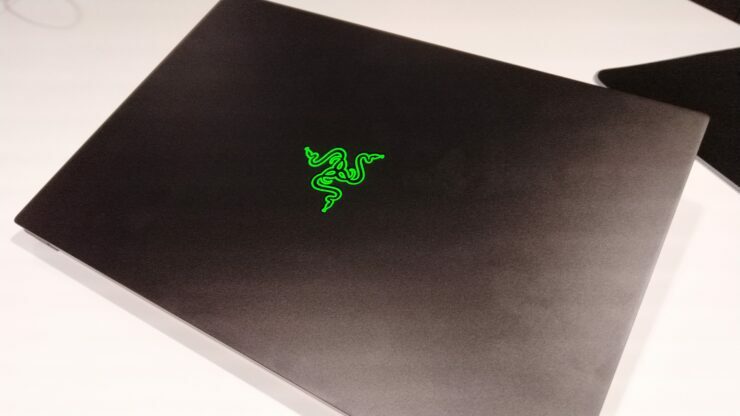 Razer kit is often associated with being expensive and that’s broadly true here. However we also know since Razer became a public company that its systems business has pretty poor margins. 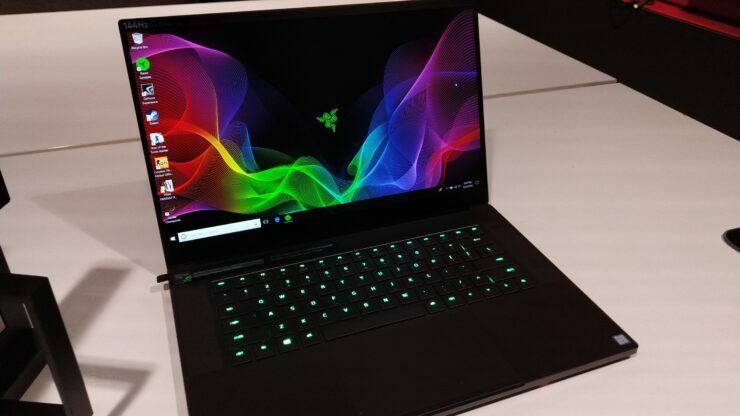 It’s also obvious why Razer waited as long as it did to launch, when many other manufacturers have already updated and refreshed their gaming laptop lines already. I asked my Razer rep shortly after that happened where Razer’s mid-sized Max-Q Blade was. Now we see, they were probably waiting for the other players to show their hand just in case, but they needn’t have worried. 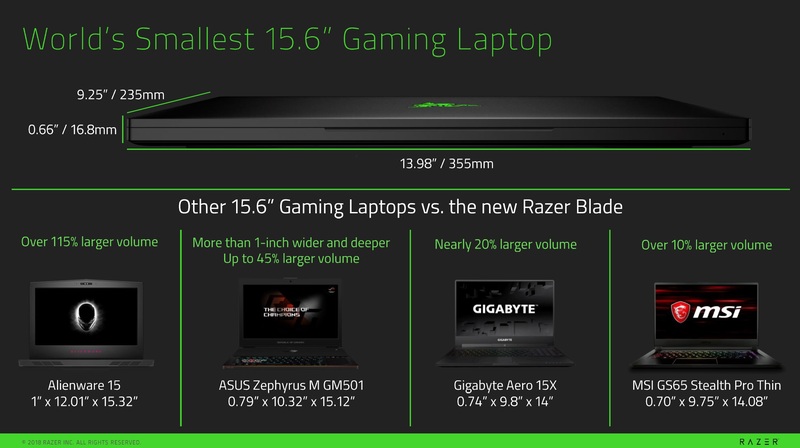 Alienware, Asus and Gigabye equivalent 15.6” gaming laptops are all significantly larger than the new Razer Blade, with only the MSI coming close with its GS65 Stealth Pro Thin coming close. 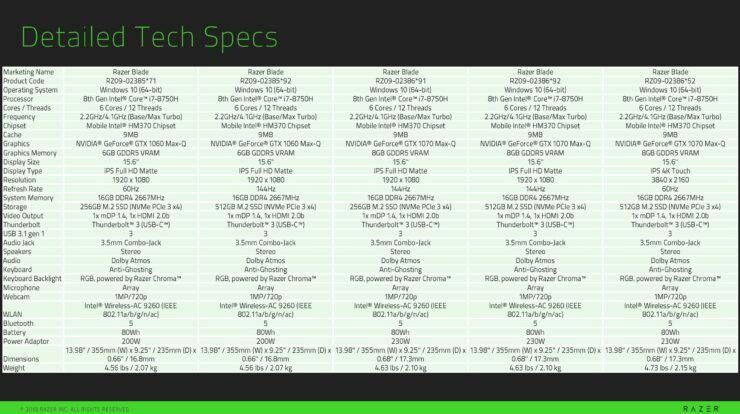 The promo slide comparing is actually slightly cheeky since the MSI is actually a 1070 as standard and Razer is comparing it to the 1060 model dimensions. The MSI also weighs less than the Razer, but honestly at this level, you’re talking millimetres and grams. Am I likely to jump on the gaming laptop bandwagon this time round? A 1070 feels like it’ll have longer legs than a 1060 and although I couldn’t make the launch preview day (bloody broken leg!) 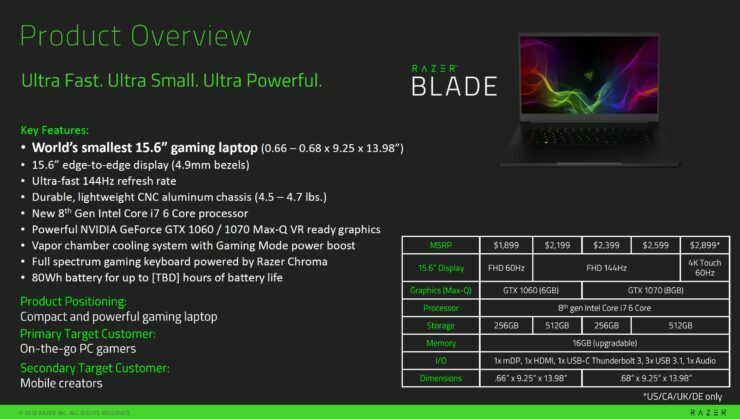 so haven’t seen it in person yet, I’d be extremely surprised if it wasn’t significantly quieter than the 14” Razer Blade. I’m slowly inching towards the idea of a gaming laptop, the 1070 Max-Q designs feel like the first generation where it’s a machine that I’ll be happy with for the medium term. Going from a Titan X(p) on my desktop to a 1070 doesn’t feel like it’ll be such a compromise and should be able to sustain gaming for a while. We’ll see how things shake out, but it’s becoming very difficult to resist. 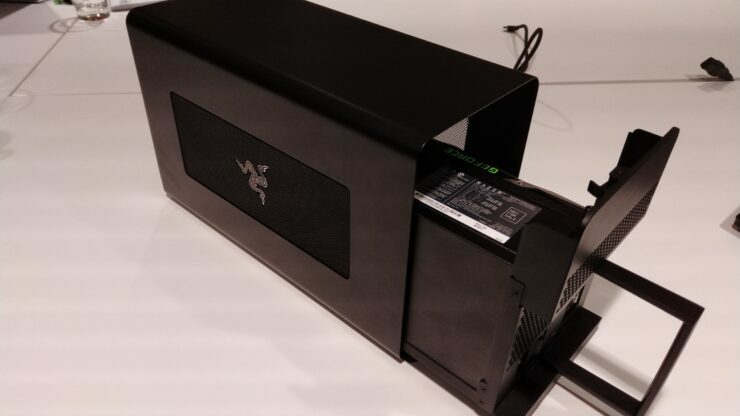 Also launching today is the newly enlarged version of the Razer Core, Razer’s external GPU enclosure for laptops. The new Core X is effectively a mild update of the Razer Core to allow for 2.5 slot height graphics cards, at a significantly reduced price over the previous Razer Core V2 ($299 vs $499) and with a beefy 650W power supply. Some photos I asked my Razer rep to take at the press preview day I couldn’t make. Be sure to also check out our YouTube channel where Keith will be talking about (and soon have a sample!) 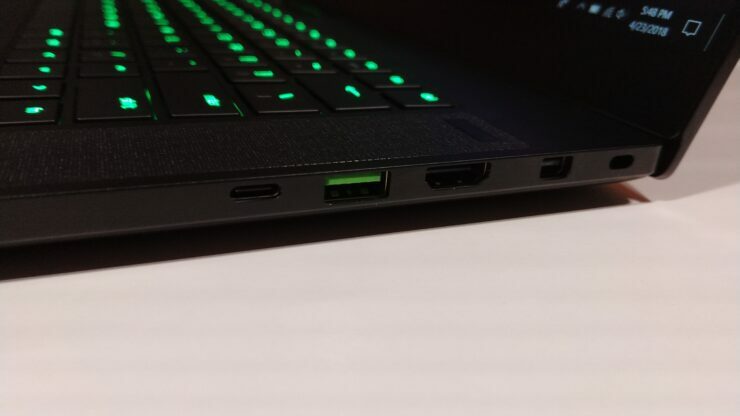 of the new Razer Blade 15. Razer Unveil The Shadow Event – Razer Desktop?! 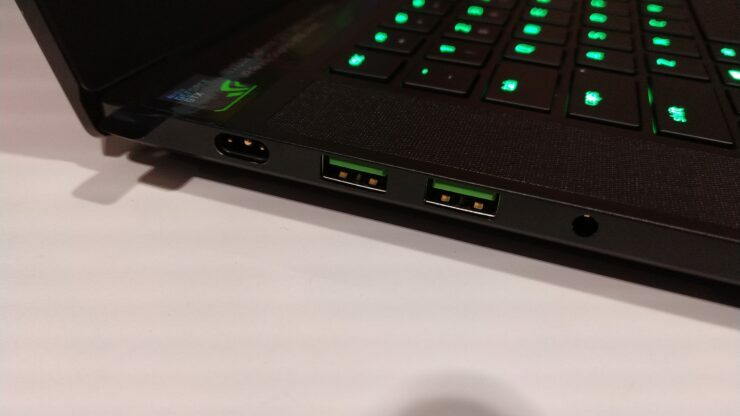 New European Razer Blade Gaming Laptops Hands On And Benches!